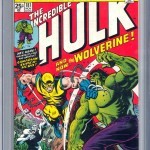 The Incredible Hulk #181 is significant & valuable because it’s the 1st full appearance of Wolverine. Wendigo makes an appearance and is on the cover as well. Finding one for sale in mint condition isn’t particularly difficult, but they are valuable. Ones in lesser condition can be more affordable, and equally plentiful in supply. Below are Incredible Hulk #181 comic book value estimates based on actual sales during the past 12 – 24 months. You can always check the completed Incredible Hulk #181 completed sales for the most up-to-date prices. Remember that a high end comic book shop will usually have a slightly higher list price, and a cash buyer like a comic book shop or pawn shop will typically offer less than the low-end range of these prices. Additionally, the values below don’t reflect selling costs, CGC grading fees, shipping fees … ect, but are generally a good place to start if you’re trying to place a value on an Incredible Hulk #181 comic book. Values Updated Q2 2016 – See bottom of the page for further details. 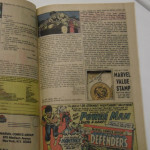 One of the finer condition points discerning collectors will look for in Marvel comic books of this era, and certainly The Incredible Hulk #181 is if the issue still contains the Marvel Value Stamp. 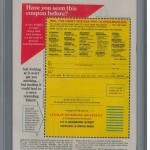 For more information on the Marvel Value Stamp, here is a good write-up on the history of them . Not having this stamp will effect the value tremendously and the prices above only reflect issues where the value stamp is in tact. 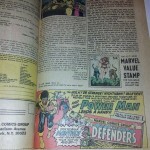 This entry was posted in Comic Book Values, Marvel Comics, The Incredible Hulk, The Incredible Hulk and tagged Comic Book Values, The Incredible Hulk, Wolverine by Comics Watcher. Bookmark the permalink.